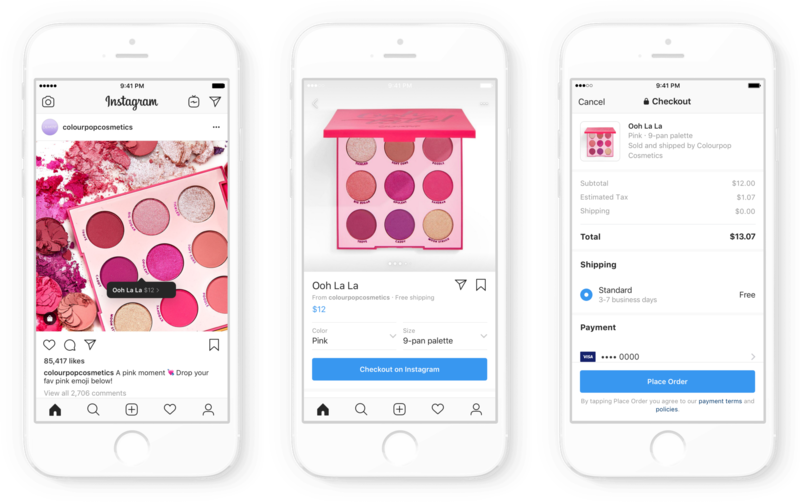 Instagram’s new product chief talks about the app’s push into e-commerce, life after the departure of Instagram’s two cofounders, and Facebook’s controversial plan to unify its family of apps. 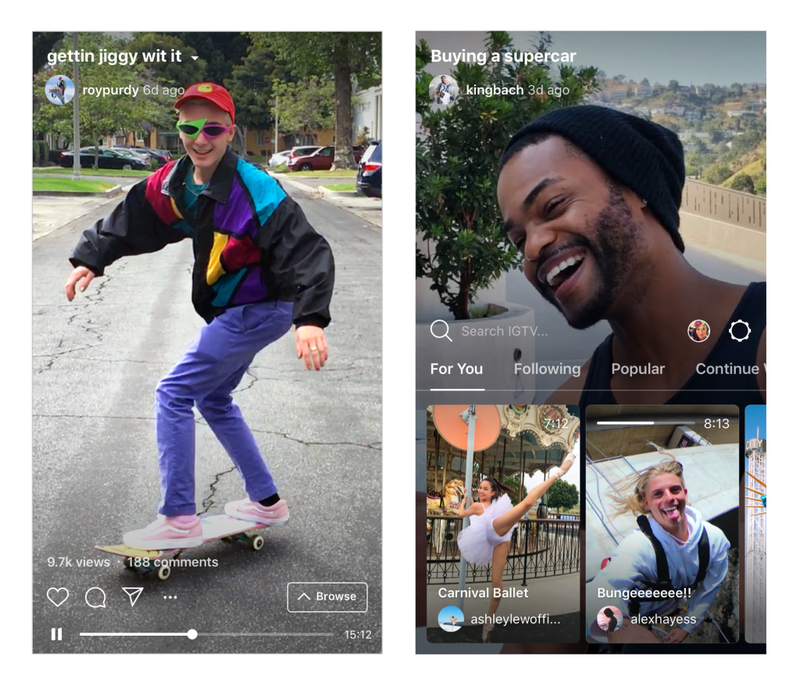 At the end of 2018, Instagram overhauled its leadership in the wake of the sudden departure of its two cofounders, Kevin Systrom and Mike Krieger. 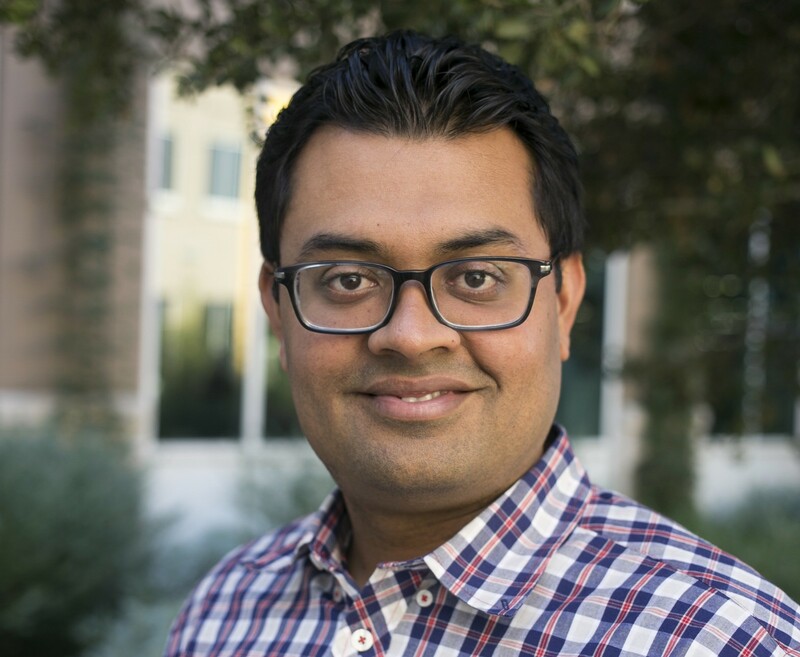 Part of that overhaul included the elevation of Vishal Shah, a longtime Facebook employee who previously ran Instagram’s business products, to the Head of Product role. Shah reports to Instagram boss Adam Mosseri, who in turn reports to Facebook CEO Mark Zuckerberg. A specific area of focus for Shah over the past couple of years has been shopping on Instagram. 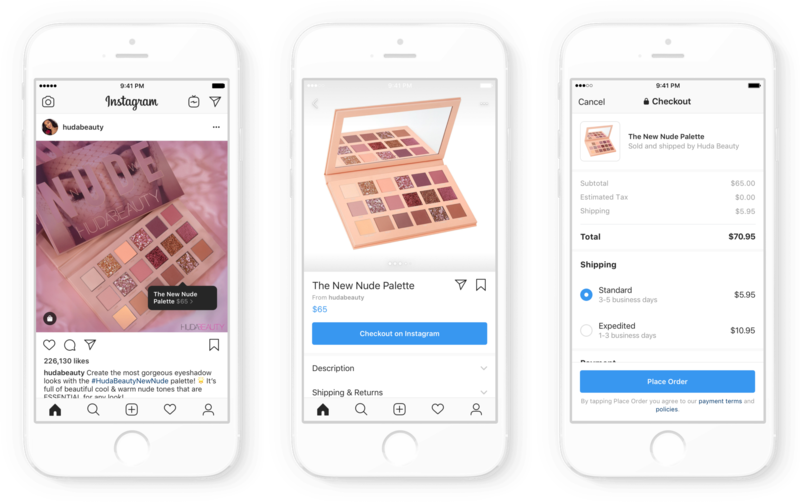 After letting brands originally just add product tags to their photos, Instagram took the plunge this week by opening up the ability to complete purchases inside the app. Shah sees e-commerce on Instagram as potentially the next great revenue driver after advertising. And that’s no small statement: Some analyst projections estimate that if Instagram were to be spun out of its Facebook parent company, it would already be at least a $100 billion business. On the heels of Instagram’s shopping announcement, Shah recently sat down for a wide-ranging interview with Cheddar’s Alex Heath and Michelle Castillo at Instagram’s New York City office. Discussed topics include the business opportunity Instagram sees in e-commerce, the state of IGTV, the departure of Instagram’s two cofounders, Facebook’s controversial plan to unify its messaging apps, Instagram’s approach to product development, and much more. Starting with the announcement this week of letting people buy things directly on Instagram, can you explain how big of an opportunity you all see commerce being for Instagram as a platform? A big opportunity. We continue to be focused on the ads businesses as the primary business for us. Obviously, everything around shopping, whether it’s people browsing, or even purchasing is also good for our ads business. We currently don’t allow you to turn shopping posts into ads. But that’s something that we’re thinking about. But in general, the commerce opportunity is one where businesses are on the platform, both large and small, especially with the rise of the the direct to consumer brand. And you’re taking a cut from transactions, right? On the commerce side, yeah. That’s happening on native checkout. We aren’t talking about the percentages right now. It’s part of the closed beta. We will be more public about those percentages as we come out of beta. But right now, as part of the closed beta, we’re not talking about it. Do you see commerce being as big of a revenue driver for Instagram as traditional advertising one day? Getting to my first question, how big is the opportunity? I think it’s pretty large. If you look at overall commerce, it’s a larger part of GDP then and marketing is today. E-commerce is a smaller part of overall commerce and mobile is even smaller. So I think there’s a while before we can get to a place where it is as meaningful as our ads business today. But the reason we’re excited about the opportunity is that I think the market is quite, quite large. As e-commerce has come online, especially in mobile, I think we have places today where it’s really easy for people—if they have a list of things that they want to buy, to go to a place, search for the thing, and buy it. Selection, inventory price, that’s easy. Where I think it hasn’t been as easy as if you are in the mood to shop. So where do you go if you just want to spend some time looking at the latest trends, looking at the latest fashions, either from a specific designer or from a brand that you love, or maybe even not from a brand you know, but just literally in the mood to shop. Basically the equivalent of going with your friends to the mall on weekend and walking around. And that’s actually the angle that we’re taking on Instagram. While there might be an opportunity at some point for someone to very directly go and look for a specific product, that’s not where we think our strengths are and where we think the biggest opportunity is. The biggest opportunities are in discovery and in the ability to broaden the spectrum of what you want to be looking for. Not just, you know, kind of cherry picking a specific product. It sounds like what you’re saying can work as a standalone app, It’s been reported that you guys were working on that. Yeah, I mean look, that’s certainly been reported. For us, if we think about the billion people that use Instagram and the 130 million that use shopping, they’re doing that on Instagram today. So if we’re trying to build a legitimate business then we want to be where the people are. It is why we’re investing in things like the shopping channel and Explore. Because if you think about Feed and Stories, that’s great for this sort of serendipitous discovery of products. You’re browsing through feed looking for friends and family or your interests, and you come upon a product. But if you’re actually in the mood to shop, it’s really hard to use that mechanism to do it. Because you’re just kind of continuing to scroll until you find a shopping product. So the shopping channel in Explore, shop on Profile—which is the place for a given business to showcase their products—are places where we expect people to spend more time if they’re in the mood to shop. Will purchases I make in Instagram inform how the ad network targets me and what the ad network knows about me? It would be used just like we use general engagement on the platform. Because that’s kind of one of the great marketing dilemmas, right? How do you close the gap between online intent and final purchase? And it seems like you guys are finally closing that. Yeah, I’d say there’s two different things. I think one is intent and signals around what people are interested in. And then the other is closing the loop on a purchase and attribution. And so when we launched our small business tools, putting insights into each post and letting people know, ‘Okay, not only how many people saw this post or how many people liked it,’ but how many clicked off site, how many messaged you, how many actually drove some downstream value that you hope to value. We’re going to be doing the exact same thing here with shopping to be able to say, ‘Okay, this posts drove purchases, here’s which posts drove more versus the others.’ So you actually have some connection between what you’re posting and what business value is being created. A lot of your pitch sounds very similar to the business proposition of Pinterest. But you also have a lot more bells and whistles with the messaging and intent and other features. Are you seeing them as your main competitor in this space? I think if you look at the ‘in the mood to shop’ use case that I was talking about, I think there’s other companies that are doing that pretty well. But I do think there’s one pretty fundamental difference. One: On Instagram you have an explicit graph of the businesses that you’re interested in—that you’ve opted in to follow. When you see a product from one of those businesses, it’s not that you want to see something like that product. You actually want to see that product. So it’s actually really important for this specific product in the post to be tagged for you then to be able to purchase. There’s a different use case, which I think is valuable but not one that we’re pursuing right now, which is, ‘Show me things like this product or another price point from a different brand.’ We’re trying to be very brand centric, brand forward. But also respecting the fact that people have opted into following these brands. So I think they’re similar, but they have different use cases. So like, the Away luggage. I see the ads all the time. I ended up buying the luggage. But you will never show me, at least for now, other similar language to that brand if Away bought an ad? Well, first of all, they can decide where they want to send you from a destination perspective. On the organic shopping side, what we will say is, ‘OK, this is in a product image. If it’s tagged with a product it will be that exact product.’ Once you go into that product details page, if you want to go branch out from there and look at other products, we will let you do that. But it’s not like you’re taking an image and saying, ‘Show me products in this that aren’t quite tagged,’ and you’re using some kind of computer vision to go and look. We think being deterministic about the product is really important. What about the payments layer? You’re partnering with PayPal. You support on the major credit cards. Would it make sense for Facebook to have its own payments layer? To be its own Stripe or to be its own PayPal at some point for this? We actually sit on top of Facebook Payments. So Facebook Payments is what uses PayPal underneath the covers for actually sending over the payment. But all of the payment methods and everything that happens goes through Facebook Payments. I’d like to talk about Instagram product in general. You were promoted at the end of last year to lead all of product. You worked for product on businesses before. You worked on shopping for a long time for Instagram. How has what you’ve done changed now in the new role? How are you thinking about non-business products and business products and how the two work together? I think this is an interesting question, mostly because of how Instagram generally thinks about product development. Which is, even as I came into work on ad product and then a lot of business products, it was never on the side of what we did on the consumer product side. The product teams are a singular product team. There’s not like a separate business team that doesn’t integrate with the rest of the consumer product team. It’s actually one product organization. And some companies run it pretty differently, where you’ve got like an ads team and then you’ve got the consumer team. And we don’t think about it that way. The reason is, because at the end of the day, the consumer has a singular experience with Instagram. And so while my primary focus was on ads and business products, I’ve been here for four years and have seen a lot of the decisions that we’ve made around the new formats like Stories. My team was the one that worked on removing the square requirement in Feed because 20% of people were uploading content that wasn’t square. So they were basically telling us that the limitation was not something that they were excited about. Looking at consumer signal and using that as a determination of what we might want to build and where people are hacking the platform is something we’ve been doing across the spectrum for a while. So I’ve had the context on the consumer product for a while. The second is, as we’ve been growing and scaling, it’s been really important for us to think of what the values of Instagram—the product—are and how decisions that we make really need to continue to reflect those values, even as we grow. So the three that we talked about are being people first, which is every decision that we make should be rooted in a real people problem that we can describe. We use the jobs framework, which is something that Clayton Christensen has espoused. People hire a product for a given job and there might be different jobs that your product is hired for. But you have to be really clear about what that job is so that you know how to build for it. So Feed was being hired for a certain job initially in 2010. And then as the pressure in Feed started to build with sort of mimicry of more professional account creators, as well as your graph growing, the job of Feed evolved from one of all your moments to one of just your highlights. The job of the moment in between those highlights wasn’t really being solved by Instagram. And we can either try to modify the feed to fit that job, but maybe it’s actually really good for the highlights job. We need to invent a new space for this more everyday job. So that framework applies to things like Live [video] and things like Direct, things like shopping. So that’s been really consistent in terms of how we continue to build. So that’s one value is about being people first. The second is a really important one, which is about simplicity. And this goes back to the concept of building all product as thinking about the whole and thinking about the consumer as a single individual. Even though we’ve added a lot of product complexity and features over the years, there’s a lot more you can do on Instagram but we still believe the product feels relatively simple. And that’s because we prioritize simplicity. So when we’re introducing any one new thing, it isn’t that we just think about that product and that feature in isolation, we think about it in the construct of Instagram as a whole. So if we’re launching Stories: What does it look like in Home, in Profile, in Search, etc? 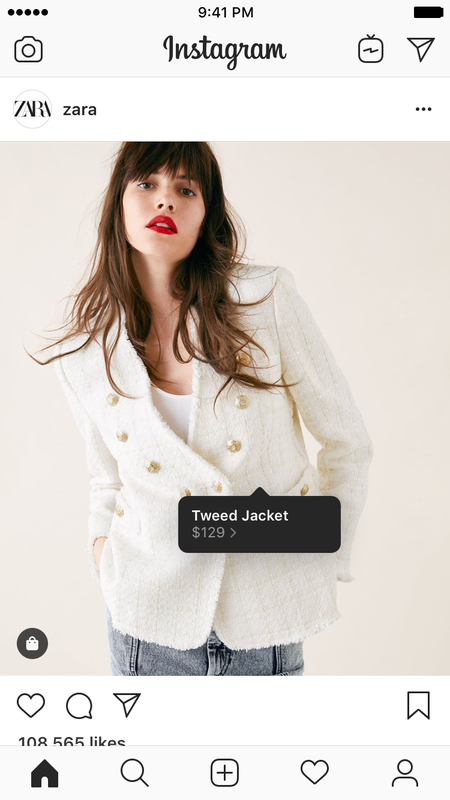 When we launch shopping, what does it look like from a tag perspective? How does the product details page look? How does checkout fit into notifications? It’s why sometimes it takes us a bit longer to get a product out the door. Because we’re being very deliberate about what we want to build a library want to build up. Second is we try not invent new design systems if we don’t have to. And so we will actually make decisions that might be suboptimal for any one product, but are the right thing for Instagram—the system—overall. The third one is around craft. Sometimes people talk about Instagram as being highly designed. I don’t love that language because it’s like designed for design sake. It’s more of, even the most basic, minimum viable product for us needs to feel complete. It needs to have the right animations and needs to feel like we thought through all the edge cases. And that level of craft that level of attention to detail is also something that, again, takes sometimes more time to get a product out the door. And I spent a bit more time on each of these three values because as we’re growing, it’s only natural for teams as as they scale to start to locally optimize, right? That is the natural incentives around how teams grow. And so we have to over-index on communicating what the values are, how we think about Instagram as a whole, in order to make sure that every individual engineer, every individual designer is really thinking about Instagram first, and then their product area second, and then maybe their own needs third. I think pretty well, in the sense that this is a new medium. In the same way we saw people figuring out how to use Stories, especially on the business and creative side really trying to figure out how to use the vertical format. Long form video is hard. It takes time. It takes effort. I think early on, there was an assumption from many people that they could take horizontal content and crop it and it would work. It doesn’t. You really have to shoot for vertical and with vertical in mind. But I do think constraints sometimes inspire a bunch of creativity. So, where horizontal video is really great for seeing the world, vertical video is really great for an individual and for the vlog format, I think [that] works really well for IGTV. But also we’re seeing things around people work really well. So whether it’s artists or dancers are chefs, or things like that. I’m a big car guy, I follow a lot of Formula One drivers. The Formula One organization thinking about how best to use vertical video. If you’re thinking about that from a car perspective, horizontal is just how that makes sense. But from a driver’s POV in terms of what they see when they’re sitting in the car, they are experimenting with turning GoPro sideways and figuring out how to how to shoot vertical. So it’s actually really been fun to see people experiment. At the same time, it’s not that we’ve been sitting still and not evolving the product. And so thinking about why people open up Instagram, back to the jobs framework that we were using earlier: If you’re opening up Instagram and you are in the mood to browse Feed or to browse Stories, the only place we were telling you about content from IGTV was the banner at the top. Which was great if you had opened up Instagram to watch video. But if you didn’t know what content was there, it was really hard for us to be able to show it to you. So starting with the Explore integration to showcase some of the content more recently. A big thesis for us on IGTV was showing you content from the creator that you care the most about. Right now you care a lot about them and you consume their content in Home. And so being able to integrate IGTV and Home mostly as a way for you to know the content that’s in the ecosystem, I think has been a helpful area of growth for us. So IGTV doesn’t need to succeed as a standalone app? I do think long term success for us is when people think of IGTV as the reason they’re opening up, in this case, Instagram. So in that world success is not where it’s just like integrated into the ecosystem really broadly and that’s just how it works. But you gotta start the ecosystem in a way where people know that the content is out there. And so there’s a matter of how do you get started and how you scale it. I do think success for us longer term is people really coming to IGTV directly, which means you need content, means you need people to produce there, and for people to come. That was one of the issues that I’ve been hearing from media companies—that simple thing about going vertical. If they shoot things horizontally, naturally they can cut a version of that and upload it to YouTube. But the problem with IGTV is it’s a different format. How are you convincing people to make that extra investment because it is such a specific use case? I do think there is two things that are exciting for us there. Forget about IGTV. When people were transitioning into mobile or transitioning into vertical video even with short form Stories. Just cutting content from another place and then expecting it to work isn’t the most optimal thing, whether that’s about getting your brand up front in the first couple of seconds because you have only a little bit time to audition, in the case of video. So I think in that case, shooting something specific is just better for the format. But actually for IGTV, making sure that people are thinking about the type of content they want to put on there [is important]. And not just recycling content from other places, it was an important consideration for us. That being said, I don’t expect people to produce if there’s no one watching. So I think it’s really important for the ecosystem to be growing. And it would be weird for me to go to a media company or to a creator and say, “Keep investing in IGTV” if IGTV wasn’t growing. So a lot of the product work that we’ve been doing is to ensure that the product is growing, more people are using it, that the videos are getting consumed. So that people really have that flywheel of being able to produce. Mark Zuckerberg’s recent blog post about shifting the company from public posting towards private, ephemeral messaging. Obviously you guys have Stories already. But how is that affecting product decisions at Instagram now? Have you noticed a change? I think we’ve been talking about private communication for quite a while. It’s why we’ve been investing more in Direct. Private communication is a really important way in how people communicate. If you look at the generation of people who come online with mobile first—and that could be a teen here in the U.S. or it could be someone in their early 20s overseas in Southeast Asia—they spent a lot of their time messaging. Because it the natural way to communicate with other people. And so we definitely see that on Instagram as well. So we’ve we’ve been focused on private communication for a while. I think the two really interesting things that we’re thinking about as a result of not specifically the post but the conversations more recently are around encryption and privacy versus safety and some the trade offs, which we can get into. And the other is around interoperability. And what does it mean to be able to reach someone you want to reach if they’re not on your primary network that you use. I have the same group of friends on a Messenger thread and work chat thread and a WhatsApp thread and a Direct thread. On Instagram, it’s typically conversations about content or Story replies or whatever. I have family overseas in India—a lot of that stuff is on WhatsApp. And if it’s someone that I know from work, maybe it’s more on Messenger. A really good example of this: My wife was in India two weeks ago helping her sister shop for her wedding. And because she was there, she was primarily on WhatsApp. So our conversation shifted from what may have been iMessage or Direct to being more WhatsApp centric. Which is actually fine, because I have all those apps on my phone. But there is some cognitive overhead for me having to choose where I want to talk to my wife. The thesis behind message interoperability is that if the most important things around messaging are being able to reach the people you want to reach and it being very convenient for you to reach them, should you be able to do that if people opt into being reached across the different networks? And I think that was maybe not as picked up in Mark’s note as clearly. It’s very much an opt in. So you as a consumer say, “I would like to opt into being able to be reached across these different platforms.” And then hopefully it makes your life easier and for the people who want to reach you. But if you have separate identities on Instagram versus Facebook, or you have multiple accounts on Instagram, we don’t intend to squash all those things together. You should be able to choose which ones you want to connect. It doesn’t sound that controversial when you describe it that way. But all these recent changes in new directions have resulted in high level executive departures. Chris Daniels. Chris Cox. Instagram co founders. So obviously there’s something that’s controversial about this new direction the company is headed. Do you have a sense of what that is? Why is it something that’s causing tension? It’s also true that running Instagram today is fundamentally different than running Instagram, let alone six years ago, or even four years ago. There’s a business. It’s a billion people. Every decision that we make now has much broader impact. There’s regulatory considerations. There’s political considerations. 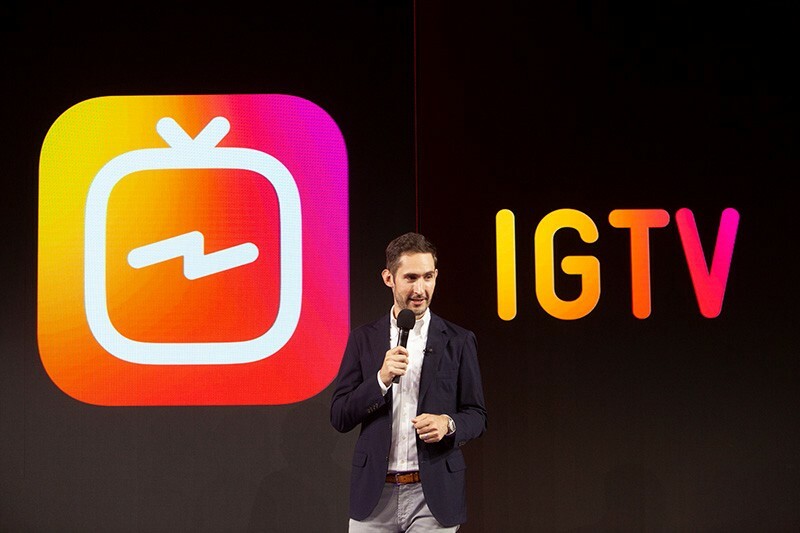 Former Instagram CEO Kevin Systrom onstage for the launch of IGTV last year. Those are all good things. Those are all the the things you deal with when the product is successful. But it means that the day to day and how we work in the kinds of decisions that we have to make are different than the ones that they were when we were smaller organization and we were able to move on things much more quickly. So let’s say we were an independent company and never acquired by Facebook. It’s still very different in terms of running the company day to day then then what it was before. So I do think that hasn’t been talked about as much. It’s pretty rare for founders to stick around as the company goes through multiple stages of growth independent of an acquisition. Mark is pretty rare in that case. Jeff Bezos of Amazon is pretty rare in that case. So I think that’s a very specific thing around what Kevin and Mike were doing. If you look at Chris Cox, he’s been at Facebook for 13-plus years [and] has gone through a series of really important transitions for the company. I think this one that we’re talking about around being privacy focused—and Mark has used the metaphor of a living room versus the town square—is a whole new set of product challenges and opportunities, including the one we talked about here on interoperability. There’s one I mentioned earlier around safety versus privacy. A commitment for a long term, new direction for the new sets of things that we’re working on; I think you have to be really excited to be focused on for a number of years. And after 13 years, Chris was thinking about this for a little while. And this was another thing that if you want to be committed to working on this for another couple of years, great. And if not, it may have made sense for him. I was thinking back to what you were saying about building Instagram stuff on Facebook payments and the idea that you guys are going to have a lot of data. How does that tying into your blockchain initiatives? If you do go into payments it makes sense that you guys would start leveraging that kind of technology. I mean, completely honestly, I both can’t comment on that because I don’t have anything to say on it and actually don’t know the details of what exactly that team is working and how exactly that might play out. So certainly there could be something there, but I literally wouldn’t be able to comment. I’m still trying to understand the decision to combine [the apps]? Well, so it’s not combined. They’re interoperable. So you still have the ability to go into each one of these separate apps. If you prefer to send from Instagram visual messages, great. If you think WhatsApp is a better use case because of the way it works as a texting utility, great. The idea is that the person on the other side shouldn’t have to make the decision, “If I want to reach this person, I only have to reach them through this app because they’re not available here.” So it’s more about making them work together, as opposed to them all being together. So in WhatsApp I would have an Instagram inbox potentially? That’s a tricky product problem. It is. It’s both tricky from how should it look and how should it operate. There’s a bunch of edge cases and corner cases to think through. And I think this is a different way for us to operate broadly, is to talk about a plan earlier than we actually have details on here’s exactly how it’s going to work, here’s exactly what the test is going to be. We’re still figuring all that out. I think there is still a generation of younger, but still going to be very valuable users that are still stuck on Snapchat because that’s what they use. How are you going to get them to come over to Instagram? The products are very similar in a lot of ways now. If you go back to the jobs framework we used earlier, I think Instagram solves a lot of different jobs for people. And the best thing we can be doing is knowing what those are and then optimizing for them. I think us as a primary messaging experience is not something that we’ve tried to specifically build. Because if we did, not landing you on your inbox and having you go to the Home tab, then having to swipe over—there’s a bunch of friction to get you to be in a a primary messaging experience. In Stories what the idea was: Let’s try to figure out the value that we can create for people who haven’t really started to use the Stories product yet. It’s where their network is. It’s where the people that they want to see updates from are. That was the strategy and thesis for Stories initially. But then we started to evolve it to say, “‘Okay, well, what are the things that are pretty unique that we can bring to the Stories ecosystem around how to help people share creative tools around polling, emoji sliders, and the interactivity stuff that we built or even the typing tool, which allows people to express themselves in a way that it’s not just about what they’re doing but how they’re feeling. I think that’s what you’ll start to see from us on the messaging side, too. There’s a utility play there certainly. There’s a reach and convenience play that we talked about with interoperability. But I think if someone is using a messaging app today for a very specific reason, then you have to be 10x better than that if you really want someone to move over. Or you have to provide more reach and more convenience and more ability to reach people you want. And that’s where I think it’s very specific to the network that you might have. So if all of your friends are on a platform, it’s very likely you’re going to use that platform, especially for communication. That’s just natural. One of the reasons that we think interoperability is really interesting is that it sort of takes all of our individual networks and says, “Well, they’re all potentially interoperable.” And so that actually makes it easier for you to reach the people you want to reach. A lot of people, including many on Wall Street, see Instagram as the the future growth driver for Facebook. Do you guys feel that pressure internally? Do you feel like you have this pressure to be potentially the next Facebook? A good example of that is Feed on Instagram has been pretty consistent over the years. And while it would have been really easy to add things like re-shares into Feed or to add unconnected content into Feed to grow the amount of Feed inventory that we could show to any one user, it does come with a trade off. And that trade off is a lot a lack of control. When you don’t have re-shares, you have less virality. But it means that the things that you see in your feed are there because someone chose to explicitly put that in the feed, not that they just re-shared it to the network. We could take the product in a different direction but we have a sense of what might happen and how the tradeoffs might play out. And so we’ve been very deliberate about saying we’re not going to make some of those changes to A) make the product simple, and B) because we know that the the idea of control and comfort is actually a more important thing in the long run. And so we can make different product decisions as a result. Senior reporter for Cheddar covering the business of social networks, media, and consumer tech.